The site which accurately revealed designs for both the iPhone 7 (in June 2016) and Galaxy S8 (in January) listed the first retail case for the iPhone 8 two days ago and has now given me nine more. Each provides a clear look at the iPhone 8 design, which they aim to protect, and all are officially on sale now in the UK with prices ranging from £9.99 to £24.99. Key takeaways are again entirely consistent with a mass of leaked information that has appeared in recent weeks. 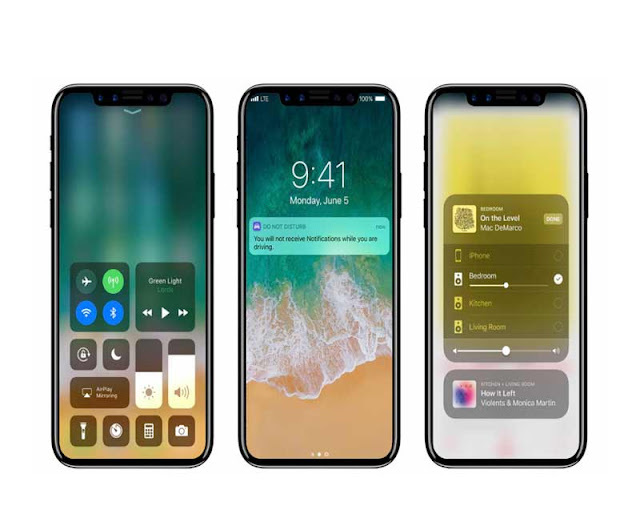 Highlights include: an almost bezel-less, massive 5.8-inch elongated display (which is the largest panel ever fitted in an iPhone), a vertically aligned rear dual camera, no home button (raising expectations Touch ID will be integrated into the display) and a "cut-out" at the top of the main display for the front camera and sensors. The last of these features is expected to lead to a radical redesign of iOS 11 with a new "Function Area," which could revolutionize how iPhone users receive and interact with notifications. It looks like Apple will stick with the Lightning connector over USB Type-C (despite shunning the former in favor of the latter on its MacBooks) and there’s no return for the headphone jack though this was to be expected and most users have accepted this by now. As such, the real talking point is likely to be the iPhone 8's greatly increased asking price, so the pressure will be on Apple to show this overhauled handset is worth the extra money. Right now, I’d say the odds are looking good.